My previous efforts with Mozart focused solely on his juvenile symphonies, the ones he wrote before he would have even been old enough to get a driver’s license, had that been a thing then. And it was more a homework exercise… I feel kind of bad for blowing over them like I did, maybe, but we’ll pick back up with his symphonies at a later time. Another area of classical music in which he wrote a large number of works is the piano repertoire: piano sonatas and concertos, not to mention things like the piano trio, which he apparently sort of… (re)invented? In any case, this week, starting tomorrow, we’re going to be burning through eight of his works for the piano. He orchestrated them, but the first four were basically homework exercises in orchestration, apparently a suggestion from Daddy Mozart. 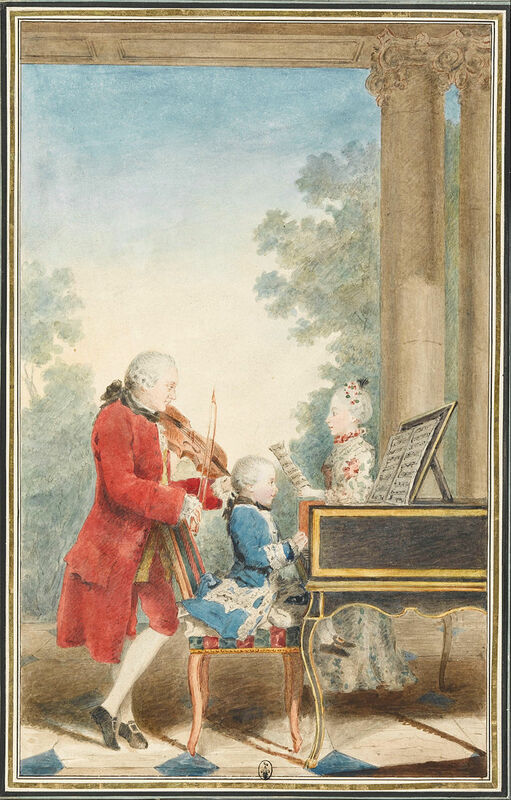 The themes themselves were taken from keyboard sonatas by famous virtuosi of the time and recycled, used as the melody for small but nice little piano concertos for the young Mozart to begin to learn how to use the keyboard in the context of a concerto. original work, and one of Mozart’s favorite concertos even into his old(er, relatively speaking) years. The first four were written almost in complete succession, but number five came later. It wasn’t until after these five works that his first piano sonata was written, and quickly on its heels came two more. We will be discussing these three pieces right after the concertos. It thrilled me that these eight works were not only written in such a relatively close time span, but that they’re organized by type: first the concertos, then the sonatas, making them quite easy to discuss in succession like we will be doing. I also find it interesting that something as large and complicated (relatively speaking) as a concerto came before a sonata. Granted, the first four are almost spurious works, as they’re just orchestrations of other things, but the fifth is an enduring work. It wasn’t until after these five concertos, though, (many many composers didn’t write that many in their entire careers) that Mozart moved onto the sonata, and it’s his first three we’ll be discussing.